We're due for another chicken recipe, yeah? AND they're baked, so hey, none of that fried business, hooray! 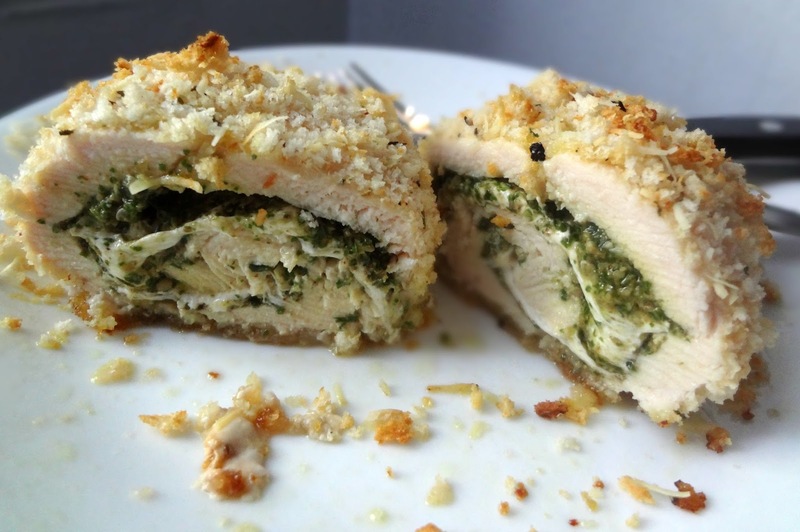 AND they're stuffed with pesto and mozzarella (YUM). I'm super sorry for this super short post guys I juuust....can't think of a thing to say and stuff. This is becoming a frequent problem. While you're helping me out with recipe suggestions, let me know if there's anything you wanna know about me or that you'd like me to share? Hm? Yepp...phoning it in. Food blogger style. Spray a baking sheet with cooking spray. Preheat oven to 350 degrees. Using a meat mallet or rolling pin flatten each chicken breast to 1/4" thick. Spread about 3 tbsp. 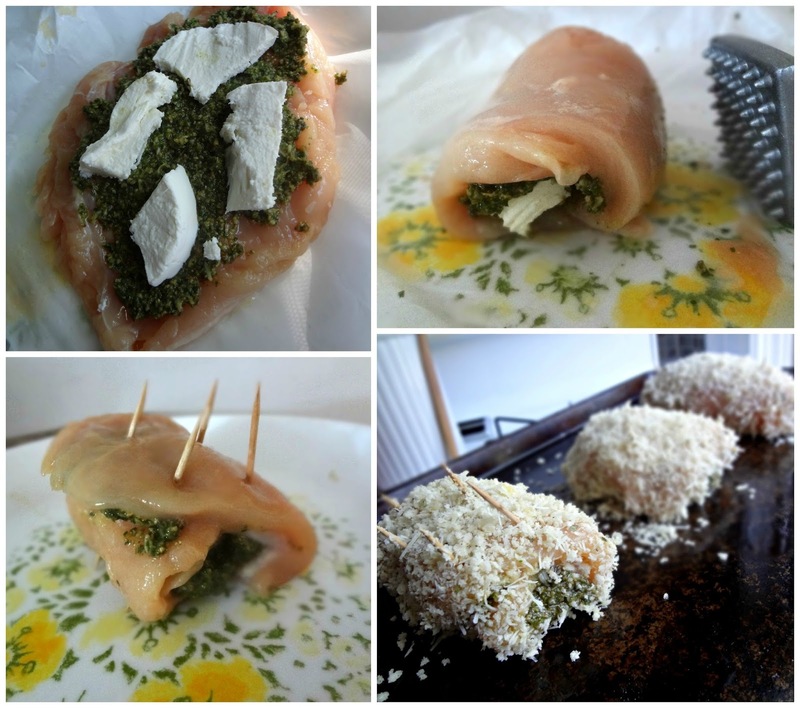 pesto onto each chicken breast. Top with mozzarella (about 2 oz. 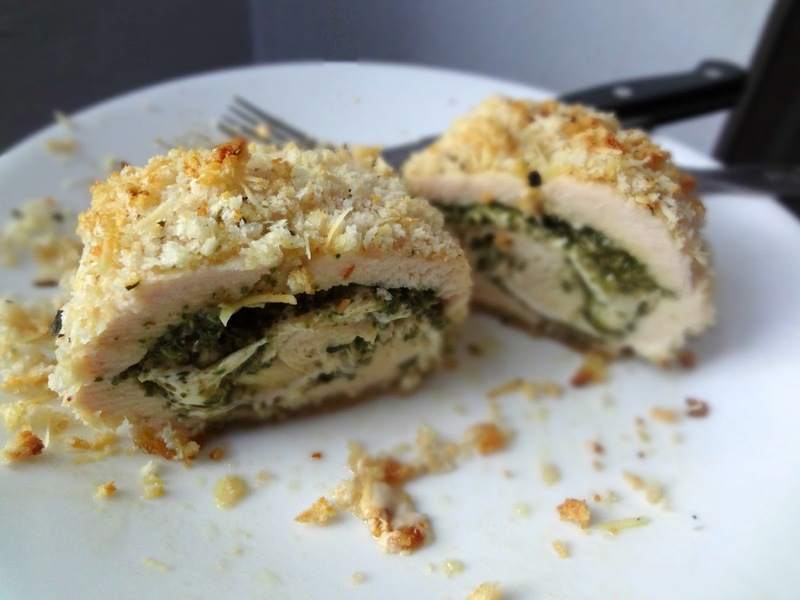 cheese per chicken breast). Roll up chicken and secure with toothpicks. Have the beaten eggs in a shallow dish. In a medium bowl combine the breadcrumbs, cheese, and seasonings. 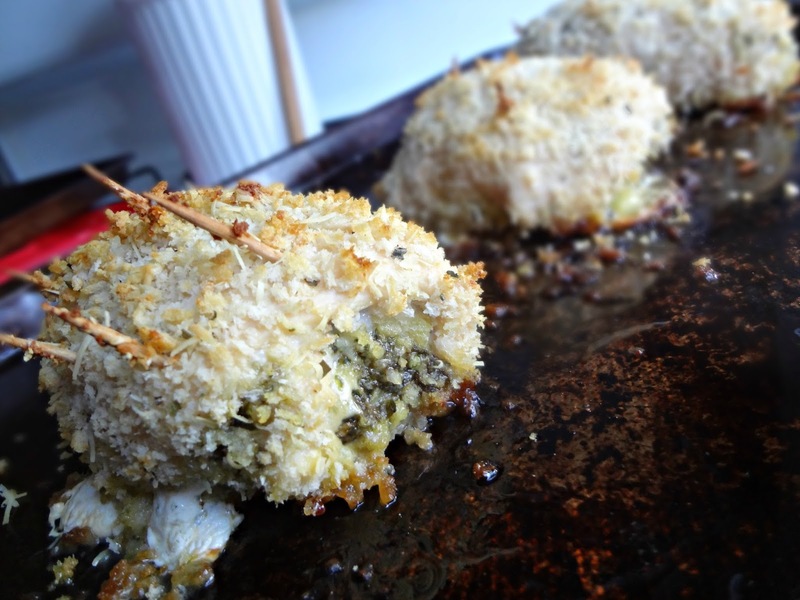 Dip each chicken breast in egg then breadcrumb mixture, making sure they're well coated. Place on prepared baking sheet. Bake 40-45 minutes until golden brown and not pink in the middle. Before eating, remove toothpicks. Dig in! See that oozing mozzarella? YESH.